100% cotton pique polo-shirt containing two buttons in the front placket having side band with flat-knit collar and cuff and Small embroidery on left chest. For calculating price of polo-shirt at first we have to calculate the fabric consumption from the size spec sheet given by buyer. If you want to know how to calculate the consumption of polo-shirt then you can check my other article “Fabric consumption of polo-shirt”. 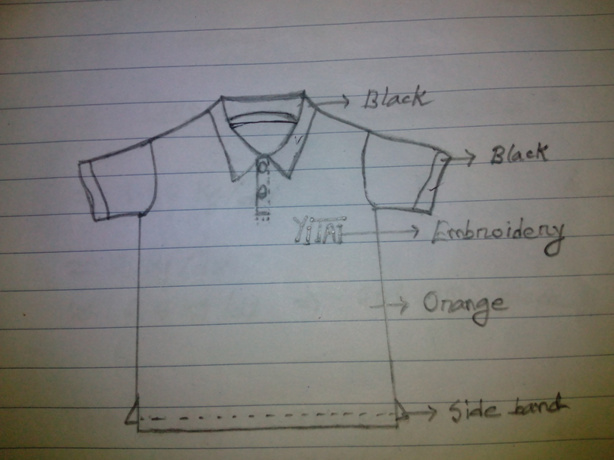 Tagged basic costing formula of polo shirt, consumption cost of polo shirt, Costing of Polo Shirt, how to calculate the consumption cost of polo shirt. Rajeshkanna, Aditya spinners, srikalahasti, India. I am a spinning person, excellent.